Do you have a One Second Strategy? 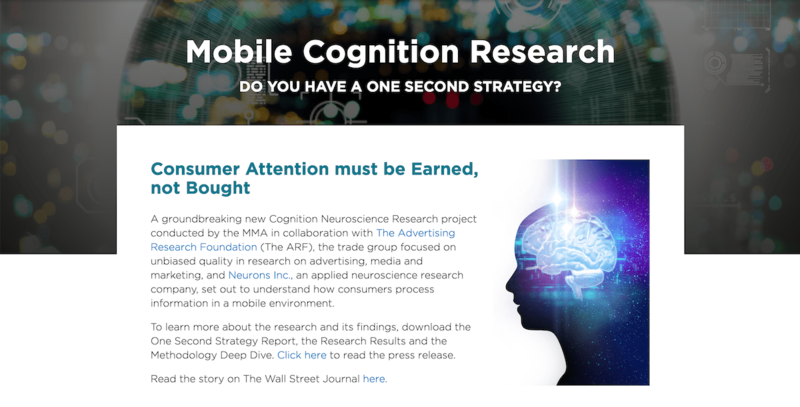 A groundbreaking new Cognition Neuroscience Research project conducted by the MMA in collaboration with The Advertising Research Foundation (The ARF), the trade group focused on unbiased quality in research on advertising, media and marketing, and Neurons Inc., an applied neuroscience research company, set out to understand how consumers process information in a mobile environment. To learn more about the research and its findings, download the One Second Strategy Report, the Research Results and the Methodology Deep Dive. Click here to read the press release. Read the story on The Wall Street Journal here. How much marketers think they’ll invest in mobile within the next five years. Which mobile tactic shows the most potential for future growth. 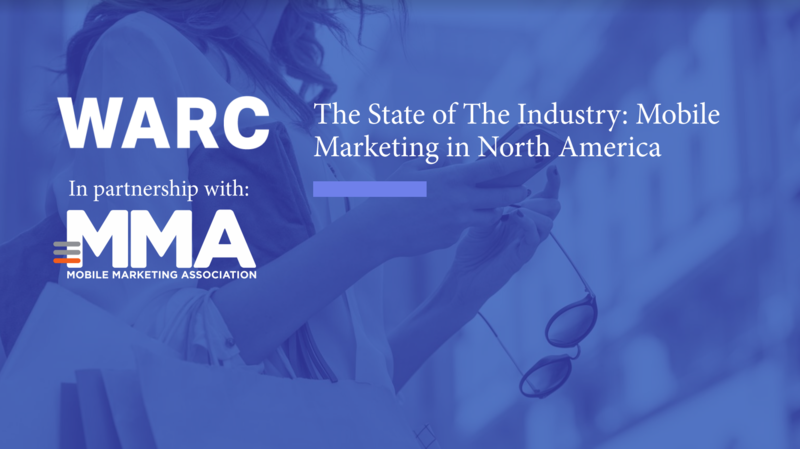 What marketers really think about accurately measuring ROI in mobile. … And those data points just scrape the surface! There is no doubt that mobile presents the greatest transformation in consumer behavior that we will experience in our lifetimes. But what is its impact on business outcomes? Current predictions of mobile advertising’s meteoric rise are themselves too conservative - underestimating the size and growth of the mobile ad spend opportunity. 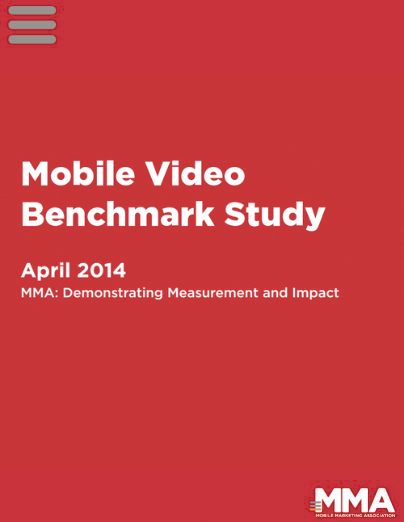 With participation from six mobile publishers, who provided one month's mobile advertising data, the 2014 study provides mobile video performance insights to advertisers, agencies, publishers and 3rd party video severs.